A wet wintry day at the market and only a few stalls. The sort of day that makes you want to make soup. Stalwarts the Thomas’s were there with a huge array of apples. I bought Braeburns this week. 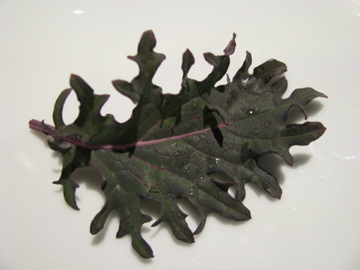 Also Tim from Toad Hill with arugula, red mustard greens and spinach. I bought a buttercup squash and a mix of his four types of potatoes: all blue (blue flesh and skin), huckleberry (red flesh and skin), russian banana and french fingerling. Also some of the wonderful sun-dried tomatoes. From Elizabeth Telling I bought two green cabbages and Russian red kale – beautiful, tasty and apparently very good for me! 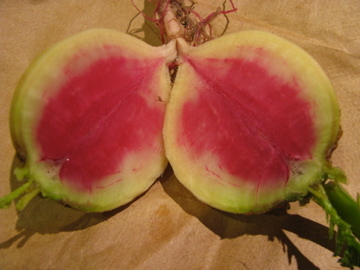 Sadly Wayward Seeds didn’t have anything left to sell – only CSA pickups. Retreating from the rain I headed for the Greener Grocer to stock up on Snowville Dairy milk and cream. They had an amazing array of greens and lots of pears and other temptations. 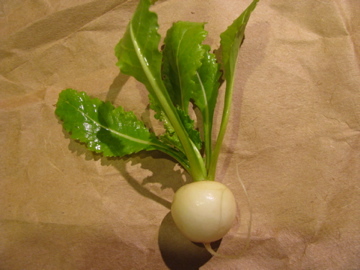 I couldn’t resist trying the baby Japanese white turnips. Snow white, amazingly sweet and beguilingly cute. So sweet indeed that you can eat them like an apple. You may have noticed that I have something of a radish obsession. 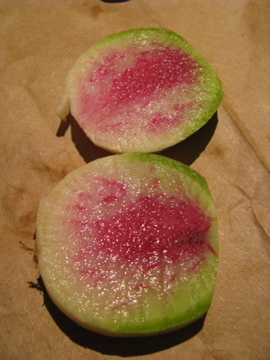 This weeks find at the Greener Grocer was watermelon radishes. Another purchase from the Greener Grocer was eggs from 2 Silos Farm in Mt. Gilead Ohio. Pictured is their beautiful sampler which has 6 different types of eggs – or I should say, eggs from six different breeds: Golden comet; speckled; Rhode Island Red, Ameraucana; Heritage Breed and Farmer’s Choice. 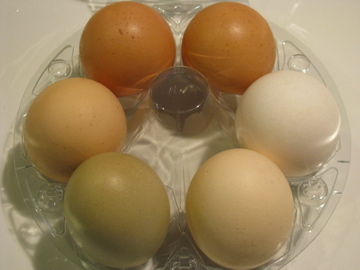 The Ameraucana eggs have a blueish tinge. The eggs were packed on November 12th – I love having fresh eggs. Guess what I am having for breakfast tomorrow! Wow, those radishes look special. What do they taste like? Never heard of them. I need to get out more. Fairly spicy but not as hot as the black ones. Little bit of an after burn. Texture is harder than radishes normally are. They were grown by Wayward Seeds. I think the purple plum is still my favorite overall.